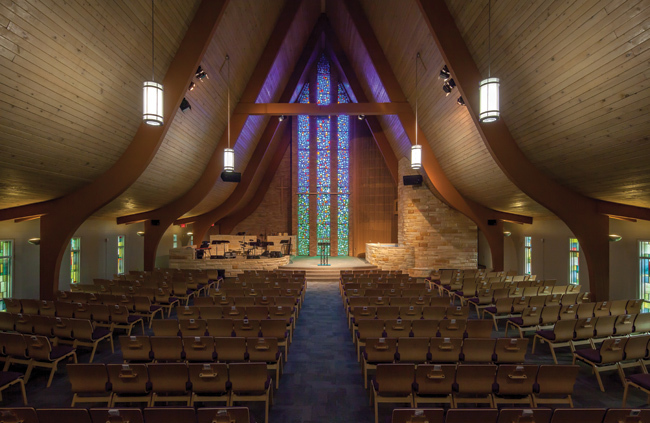 Bridgetown Church of Christ had several design issues and ministry needs. They needed to update their exterior and interior for a better overall first impression. As you walked into the church, the lobby was cramped, dark, and had a low ceiling. The flow of the building was very poor. Upstairs, the church only had a small women’s restroom by the sanctuary and the men’s restroom was located in another part of the building. The existing sanctuary was dated and had old windows that were not energy efficient. Downstairs in the fellowship hall, the only restrooms available were in the children’s area, making the space unsecure. An elevator was needed to provide handicap accessibility between the floors. 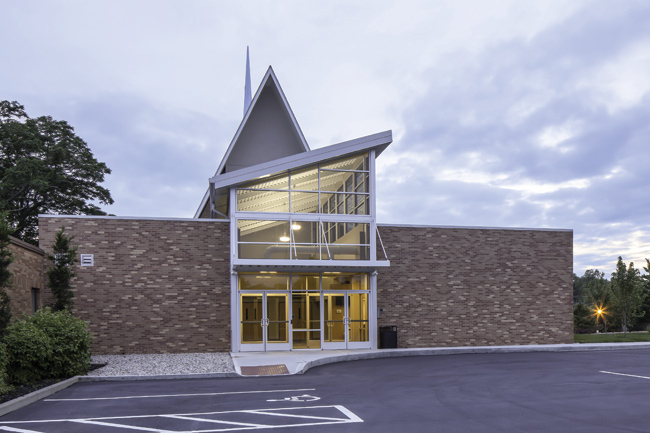 The McKnight Group provided the guidance the Bridgetown Church of Christ needed to help them overcome their facility hindrances. Through selective demolition, the existing entry way was demolished and a new modern lobby space was created. Higher ceilings, natural light and café space highlighted the new entry. The addition gave the exterior entrance an entirely new feel inside and out. New restrooms were added directly off of the lobby. Changes in the sanctuary included removing the existing pews and replacing them with chairs to increase seating capacity. 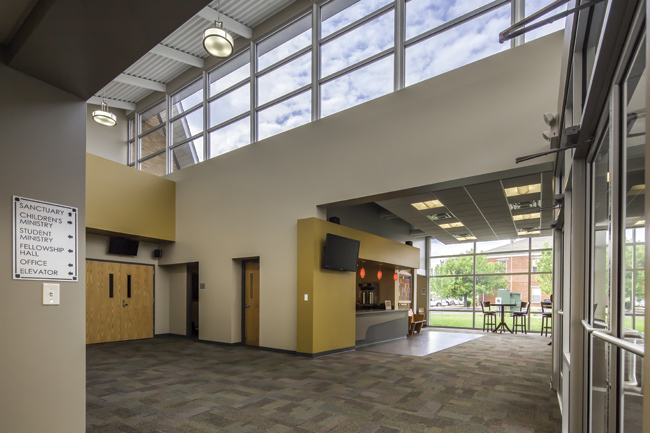 New flooring, new wall finishes, an addition to the existing platform, and an upgraded HVAC system gave a fresh look to the space while providing energy efficiency. A new elevator was installed to provide handicap accessibility to both floors. In the lower level, new restrooms were provided with access to the fellowship hall. 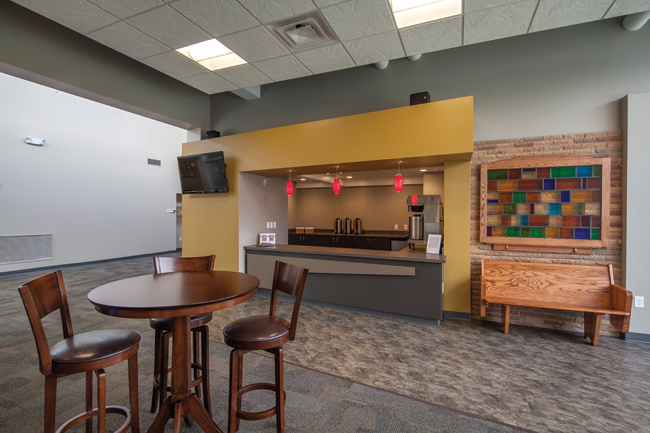 A new nursery, children’s restrooms and secured doors were added that allowed for increased use of the fellowship hall while providing security for the children’s space. 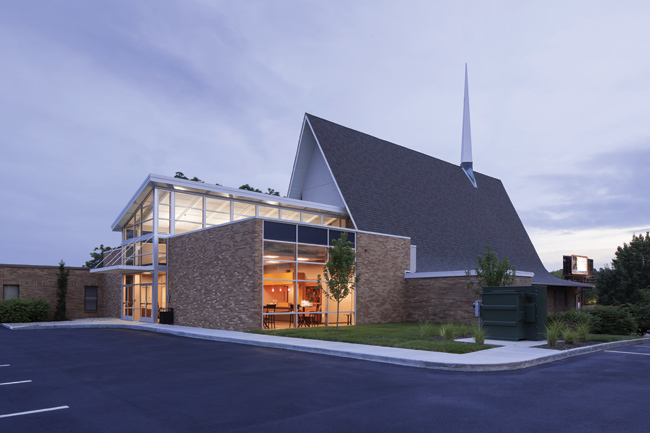 Bridgetown Church of Christ met the needs that were critical to their facility for growth. They are now more equipped to support their mission: Love our community and invite them into a life-changing relationship with Jesus. The new exterior entrance invites their community in and the new foyer and cafe welcomes them. The new sanctuary and platform are more conducive to their worship style and parents feel safe leaving their children in the secured children’s area.